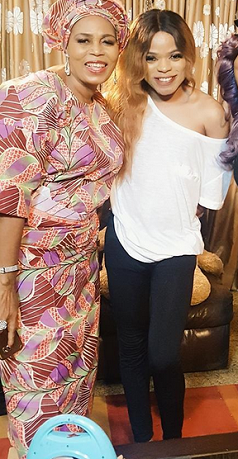 Nigerian male barbie Bobrisky, has gotten himself a role in a movie which is currently being shot in Lagos. The cross-dresser who warmed his way into the hearts of Nigerians with his less than conventional lifestyle is finally on his way to the stardom he so craves. He is pictured here with Yoruba movie stars Lola Idije and Tabo Sobala. 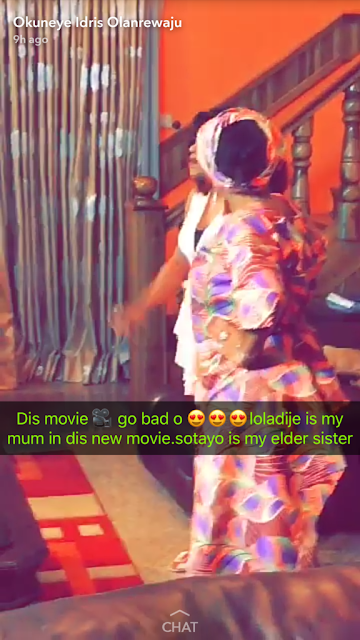 Bobrisky shared photos from the movie location on Snapchat, saying he is playing the role of Lola Idije's child. He however didn't mention if his character is male or female, and that has left some of his followers confused. We can't wait to see what the bleaching expert has to offer. And here is hoping the movie is comedy.